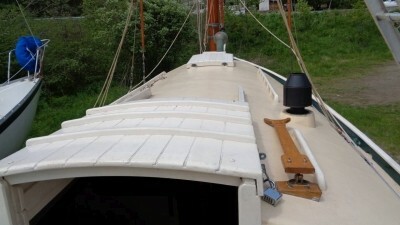 CONSTRUCTION: White cedar planking on white oak frames; white oak keel and center-line construction; bronze screw fastenings; bronze keel bolts and bronze centre-line fastenings; hull painted white; dark green boottop and shear strake; red bottom paint; white deckhouse; the decks are Dynel over plywood painted buff; outboard rudder and tiller steering; 6 opening ports; one hatch; lifelines with bronze stanchions; 5' self-bailing well-type cockpit. 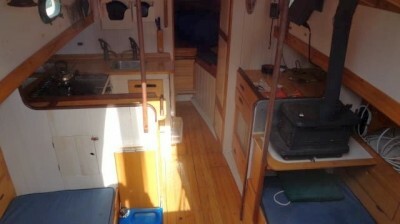 ACCOMMODATIONS: The yacht sleeps 4 and has 6'2" headroom. 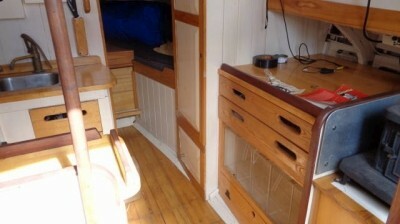 Vee berth forward with 'Air Head' composting toilet ( airheadtoilet.com ) ; hanging locker aft to starboard; galley to port with a navigation station with chart drawers and storage opposite to starboard. 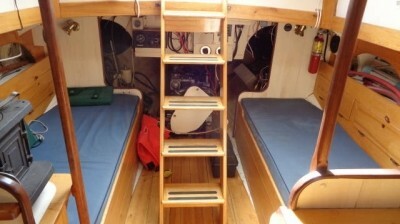 There are settee berths port and starboard constituting the main cabin. 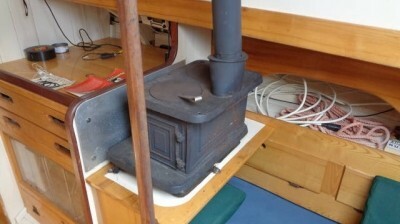 A 'Little Cod' cast iron Lunenburg Foundry wood stove is to starboard. There is a drop-down bulkhead mounted table. 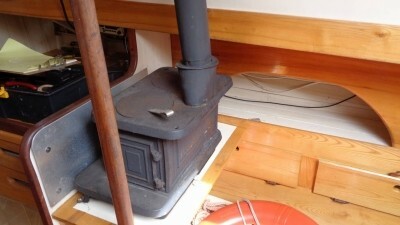 The engine space is easily accessible, as is the preference of the builder. 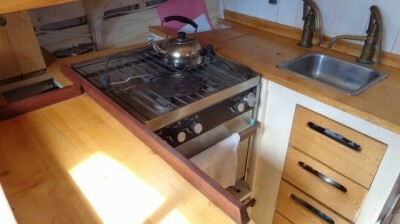 Galley: The galley has a 3 burner LPG stove with oven, ice box and lots of counter and locker space; there is a sink with a hand pump for fresh water supplied by 2 -40 gallon Plastimo tanks. 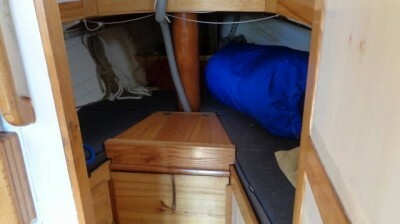 The interior is finished in cedar finished bright, painted bulkheads and deckhouse and blue-gray fabric upholstery. 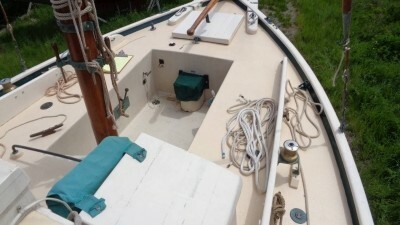 ENGINE: 1999 27 HP Yanmar 3GM marine diesel engine with fresh water cooling (heat exchanger); 40 imperial gallon stainless steel fuel tank providing a range of about 120 hours at a cruising speed of 5 kts. The engine injectors were cleaned in 2015. There is an hour meter showing 1921 hrs. to the time of listing. 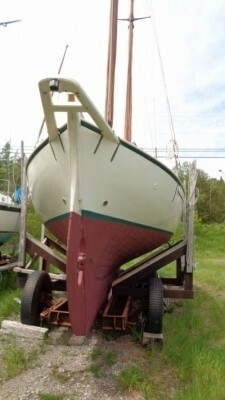 The propeller is a 3 bladed Campbell Sail Prop. 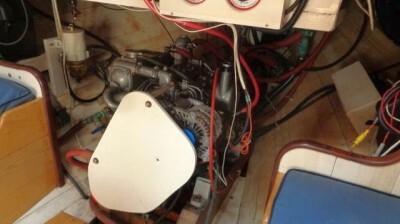 ELECTRICAL SYSTEMS: The yacht has a 12 volt DC system supplied by a Balmar high capacity alternator on the engine. There is a deep-discharge house system battery and an engine starting battery; Batt Max isolator; selector switch; fuse panel; cabin and navigation and anchor/mast-head lights; lightning ground. 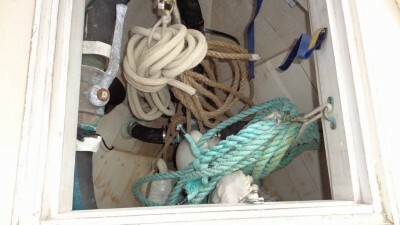 SAILS &RIGGING: The yacht as a gaff-headed rig. 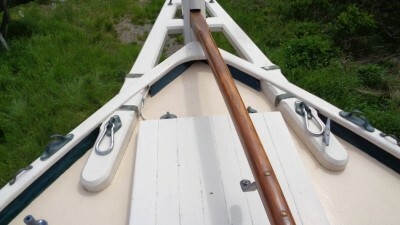 The spars are hollow spruce finished bright; there are 3 sails of Oceanus 'tanbark' Dacron fabric made by Nat Wilson of East Boothbay, Maine. 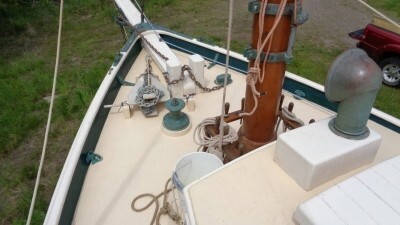 The Jib has a 'Flexible' roller furling gear. 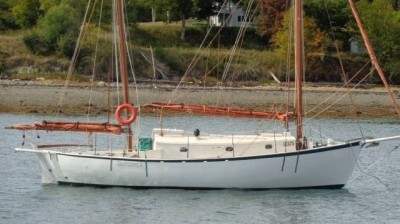 There are Arco #6 sheet winches in the cockpit and a large two speed winch on the foredeck for anchor handling and warping. The standing rigging is stainless steel with shroud rollers, bronze turnbuckles and tapered chain plates. ELECTRONICS: Flat gimballed compass; Uniden VHF; JRC Radar; Simrad TP2 autopilot. 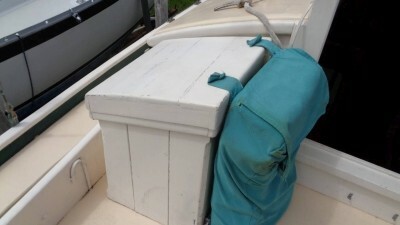 GENERAL: 35# CQR anchor with 50' of chain and 300' of nylon rode; electric & manual bilge pumps; dock lines; fenders; fender board; boat hook; fire extinguisher; life ring; horn; cockpit cushions; swim ladder; clock & barometer; dishes; engine & equipment manuals. PARTICULARS AS SUPPLIED BY THE OWNER ARE BELIEVED TO BE CORRECT BUT ARE NOT WARRANTED. 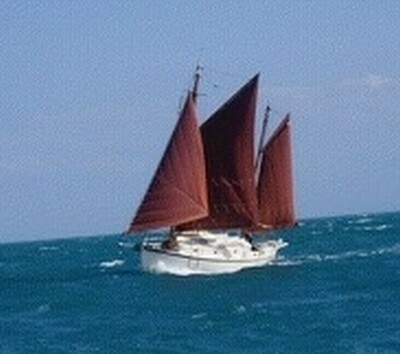 BROKER'S COMMENT: In the competitive yacht design market of the '30s and '40s, 'Dog Star' was Phil Rhodes' answer to the famous Tahiti Ketch by John Hannah. 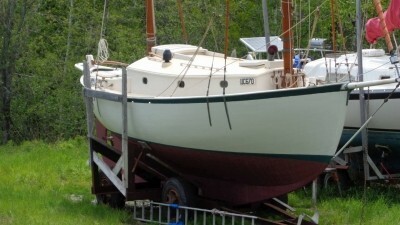 This boat is rare indeed, as she is, by wooden boat standards, relatively new: 1999. 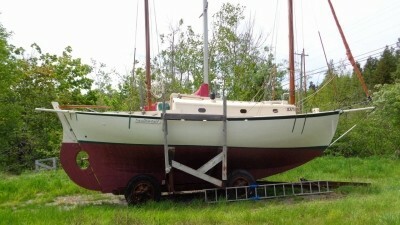 She is well built, simply appointed and she has cruised in safety and comfort from Cuba to Newfoundland.